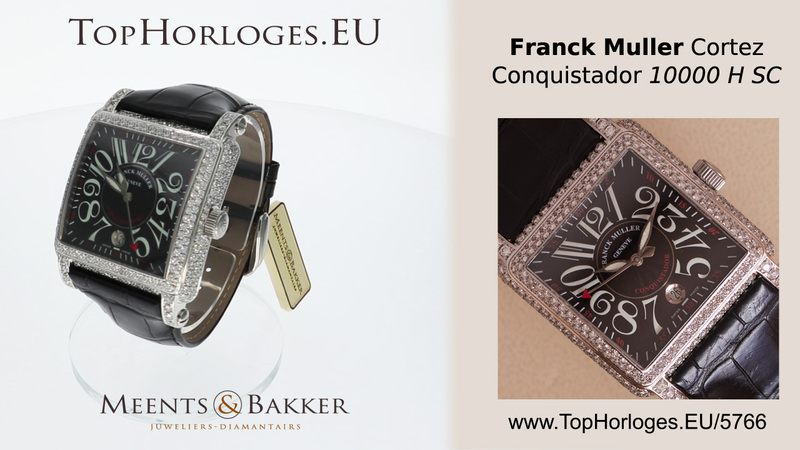 Fantastic Franck Muller Cortez Conquistador. 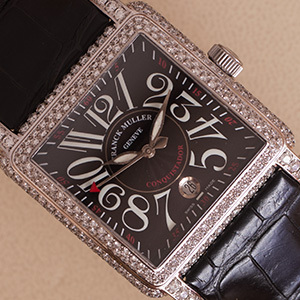 This steel watch is customized with diamonds at the bezel, case and pinbuckle. 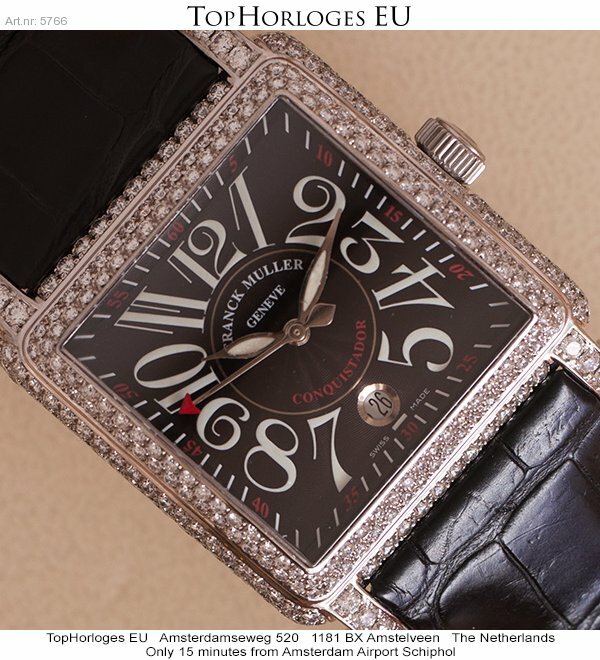 New leather strap.